A 1961 Aston Martin DB4GT Zagato sold for $13,315,899 as the top result at the Bonhams Goodwood Festival of Speed 2018 sale. The top result at the Bonhams Goodwood Festival of Speed Sale 2018 was as expected for the 1961 Aston Martin DB4GT Zagato, registration number 2 VEV, that achieved $13,315,899. This was the highest price ever paid for a British-made car at an auction held in the UK. 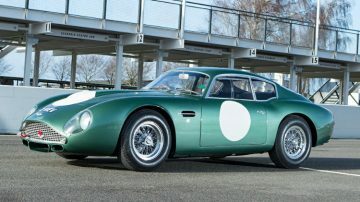 It is the third most-expensive Aston Martin ever and the 44th car to have sold for over $10 million at public auction. An ex-Scuderia Ferrari 1932-4 Alfa-Romeo Tipo B Grand Prix Monoposto sold for just over $6 million. A new BMW marque and world model record was set when John Surtees 1957 BMW 507 Roadster sold for just over $5 million. 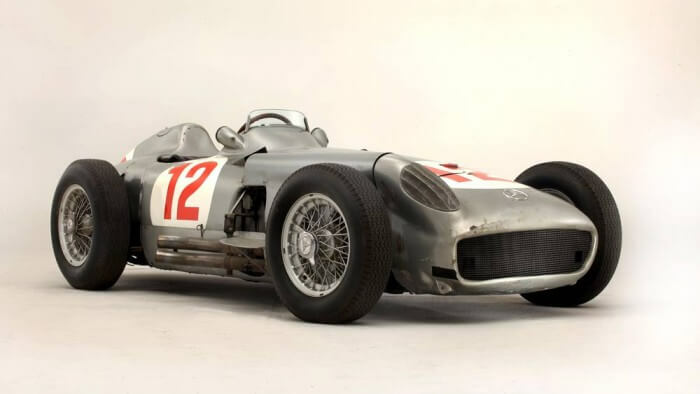 The annual Bonhams Goodwood Festival of Speed sale was held on 13 July 2018 during arguably the most important motoring event in Britain. It took place at Goodwood near Chichester in the south of England. At the 2018 Goodwood Festival of Speed sale Bonhams earned £32,046,159 ($42,406,000) and sold the most-expensive BMW ever. Note: Auction held in UK pound (GBP/£), USD/$ conversion as on day of auction. Based on results presented during auction, check against final published results. The top result at the Bonhams Goodwood Festival of Speed Sale 2018 was as expected for the 1961 Aston Martin DB4GT Zagato, chassis 0183/R, registration number 2 VEV, that sold for $13,315,899. The result was the highest price ever paid for a British made car at a public auction held in the UK and only the fourth result above $10 million ever achieved for a car at a British auction. This is the third highest price ever paid for an Aston Martin but a million dollar less than was achieved for a 1962 Aston Martin DB4 GT Zagato sold by RM Sotheby’s in New York 2015. The marque record remains $22,500,000 paid for the 1956 Aston Martin DBR1 at the RM Sotheby’s Monterey 2017 sale. It is only the seventh British-made car to sell for more than $10 million at public auction lifting Aston Martin one car clear of Jaguar and McLaren. The answer how much less a more “standard” 1960 Aston Martin DB4 GT is worth was not conclusively answered then the car on offer failed to sell. Bidding stopped at £2,150,000. However, a further 1961 Aston Martin DB4GT once owned by Peter Sellers will be on offer at the RM Sotheby’s London 2018 sale in September. 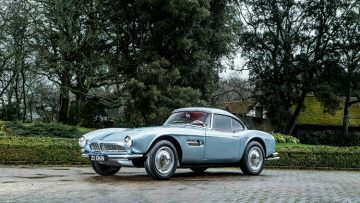 It was expected that the 1957 BMW 507 that racing legend John Surtees owned from new until his death in 2017 would set a new model record but the result just over $5 million was nothing short of sensational. When the hammer came down at £3.4 million, £3,809,500 ($5,031,683) was due and a new BMW marque record was set way above the presale estimate of $2,600,000 – $3,300,000. The previous record price for this model was set at Pebble Beach 2017 when Gooding sold a superbly restored 1958 BMW 507 Series II Roadster for $2,750,000. Other BMW 507 Roadsters in good condition could expect to achieve around $2 million at auction. At the time that he acquired the BMW 507 as new in 1957, John Surtees was the reigning 500cc Motorcycle World Champion, having won the first of four titles in 1956 riding for Count Domenico Agusta’s MV Agusta factory team. Augusta paid half of the BMW’s price and Surtees the rest. Surtees had BMW upgrade the performance a bit and had disc brakes fitted. Surtees kept the BMW, even after Ferrari forced him to buy one of his cars while driving for the factory team. Surtees won the Formula 1 Drivers’ World Championship for Ferrari in 1964. See John Surtees’ BMW 507 Roadster Announcement for more on this magnificent car. Of the three million-dollar Bentleys on offer at the Goodwood Festival of Speed 2018 sale, only the 1931 Bentley 4½-Litre Supercharged Tourer sold. It achieved $2,655,000. It was the most-exiting Bentley on offer as it is considered one of the 50 Blower Bentleys built to homologate the Birkin team cars. Several further classic Bentleys were announced for the Bonhams Quail Lodge 2018 sale. The 1965 Aston Martin DB5 on offer at the Bonhams Goodwood Festival of Speed Sale sold for a strong $2,580,886 – well above the presale estimate of £1,200,000-1,800,000 ($1,600,000-2,400,000). The 007 connection seemed to have added around a million in value. 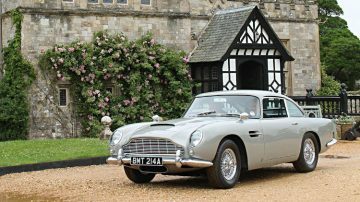 This DB5 was driven by Pierce Brosnam playing James Bond in the 007 film Golden Eye. A 2014 Land Rover Defender SVX ‘Spectre’ 4×4 Utility used in the filming of the James Bond movie Spectre (2015) also sold for a very strong $480,900 – apparently to the same buyer as the DB5. See Bond Aston Martin Announcement for more on this DB5. 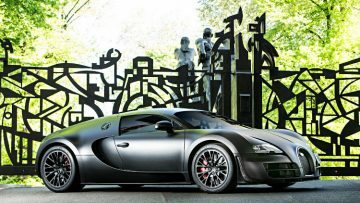 Of the four modern supercars on offer at the Bonhams Goodwood Festival of Speed only the 2012 Bugatti Veyron Super Sport Coupe sold for $2,691,410. This was the last of the Veyron Super Sport cars built. It is a one-owner car with only 550 km on the clock. McLaren P1 prices seem to be moving lower. Bidding for the 2014 McLaren P1 Coupe, estimate $1,700,000 – 2,300,000 ran out of steam before $1.5 million despite this being a single-owner car with only 80 miles on the clock. P1 prices have been weaker this year with the last two sold only achieving just over $1.7 million. The 2011 Aston Martin One-77 Q-Series Coupe with only 300 km covered since new also failed to sell with a highest bid just above $2 million. It is one of only 77 built but the second one to fail to sell at public auction within a month. Biding for the 2016 Pagani Huayra Coupe, estimate $1,700,000 – 2,100,000, stopped at around $1.5 million. This Pagani is well used in comparison to the others with 7,650 miles on the clock. The Huayra is rare with only 100 produced and only 4 supplied to the UK. 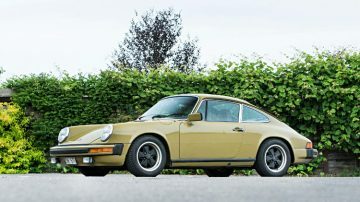 $186,8896 was paid for the 1977 Porsche 911 S Coupé driven by Saga Norén in the Swedish-Danish detective series The Bridge – the presale estimate was $26,000 – 40,000. All proceeds are going to the WaterAid charity. $268,259 paid for UK registration number “D2”.